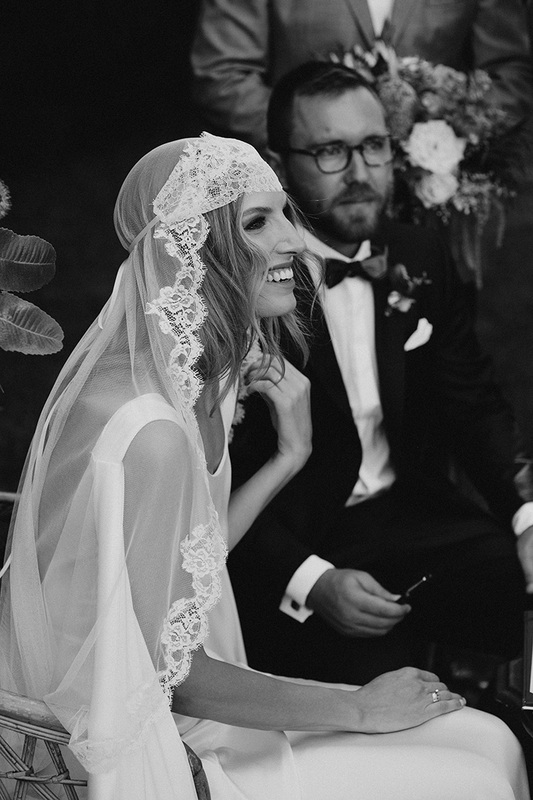 You won’t find a more beautiful yet modest couple than Alex & Gene. 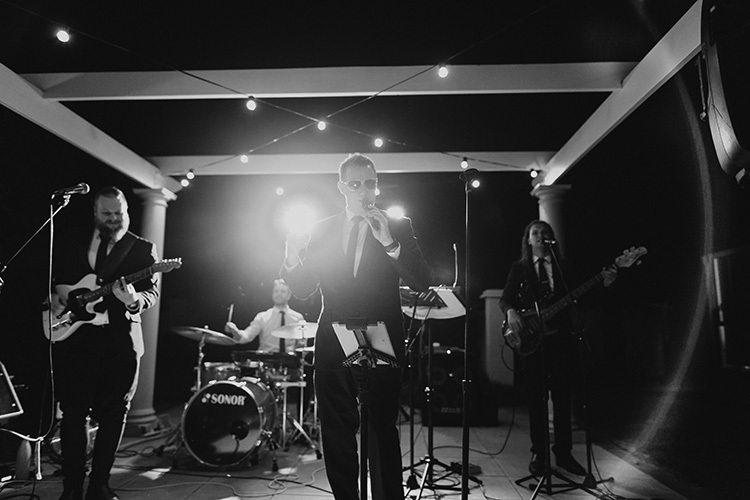 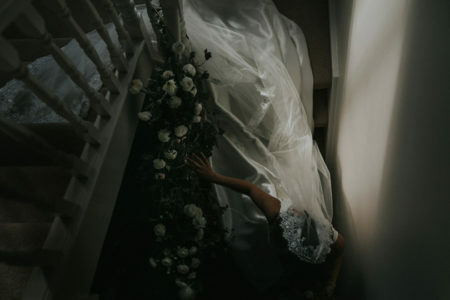 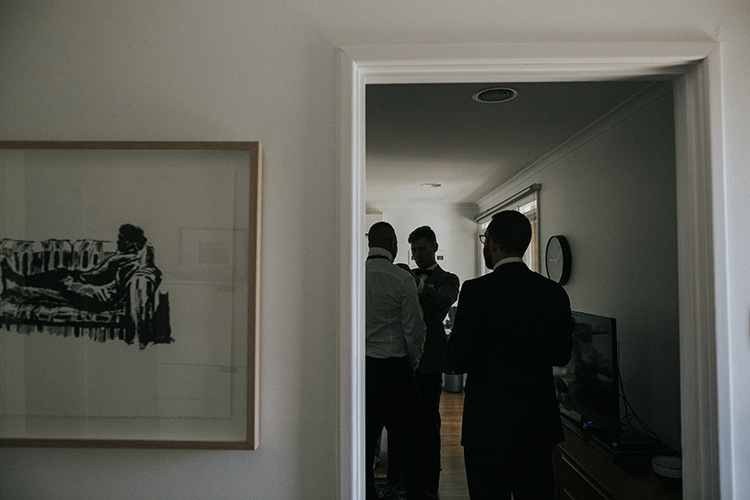 We were so honoured when they asked us to take care of their Canberra wedding photography. 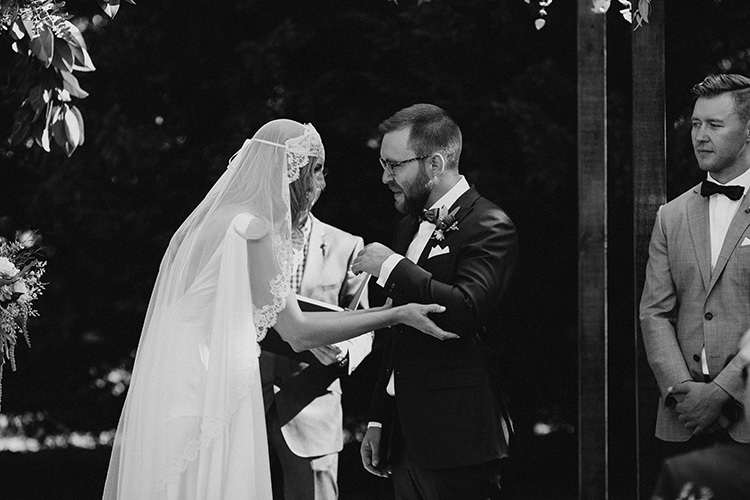 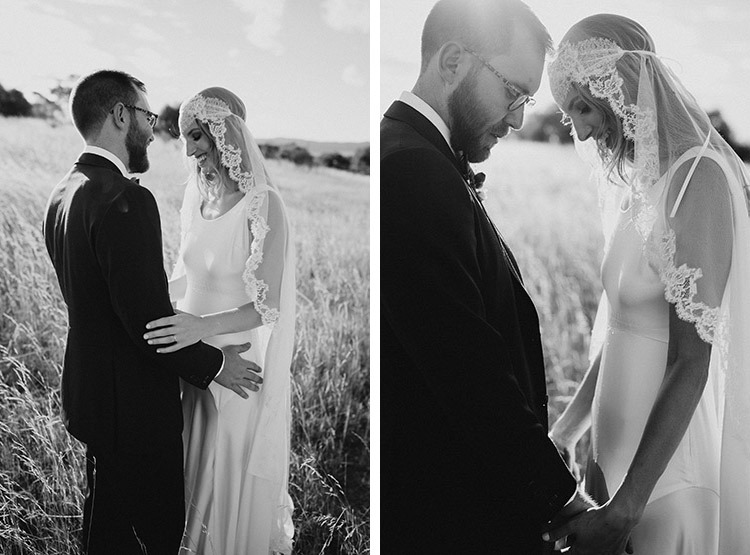 Our job has allowed us to find some wonderfully creative people and these two were no exception. 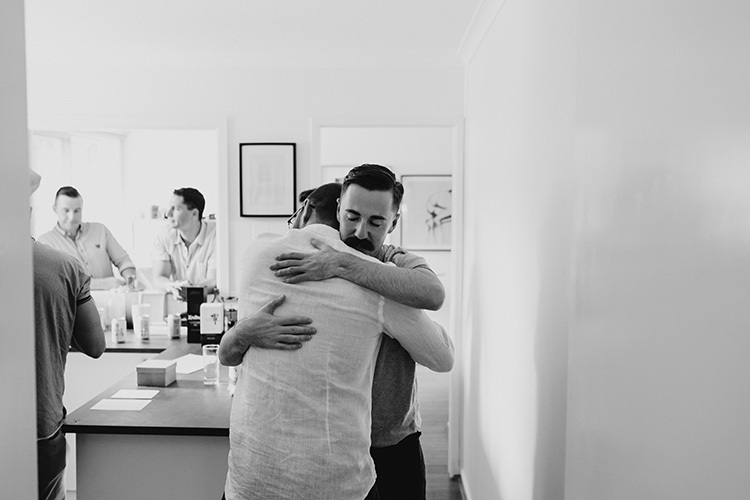 We knew Alex & Gene were genuinely special from the moment our collaboration with them began. 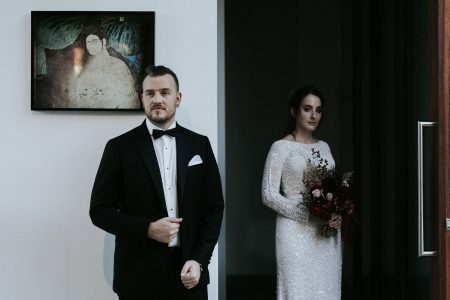 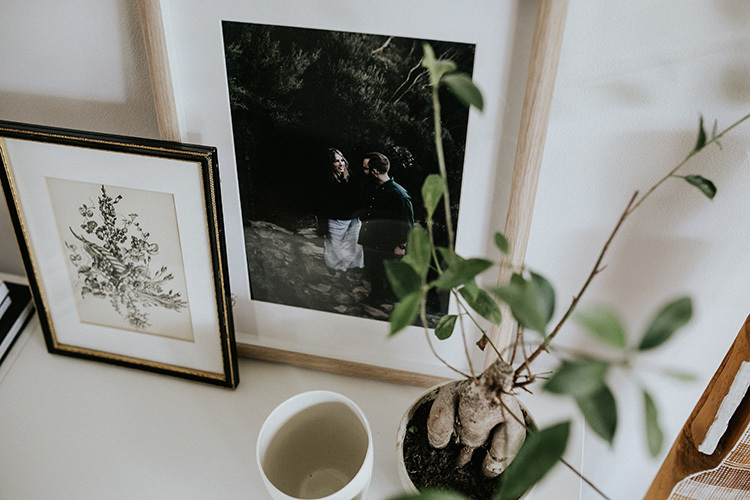 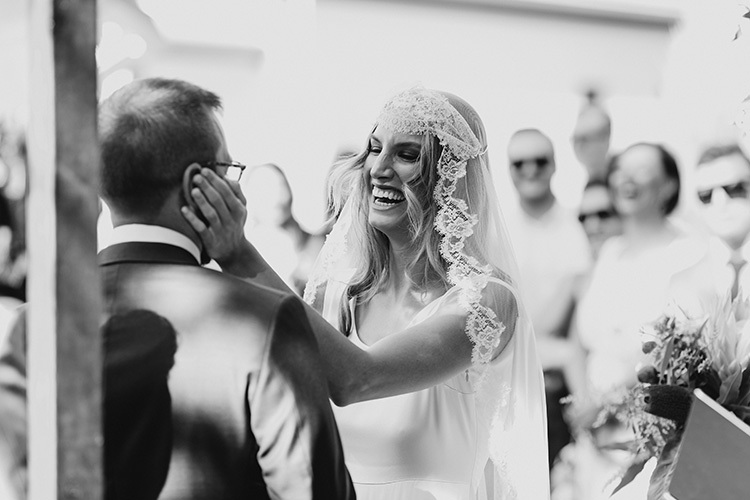 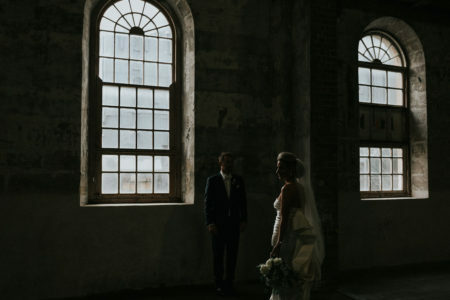 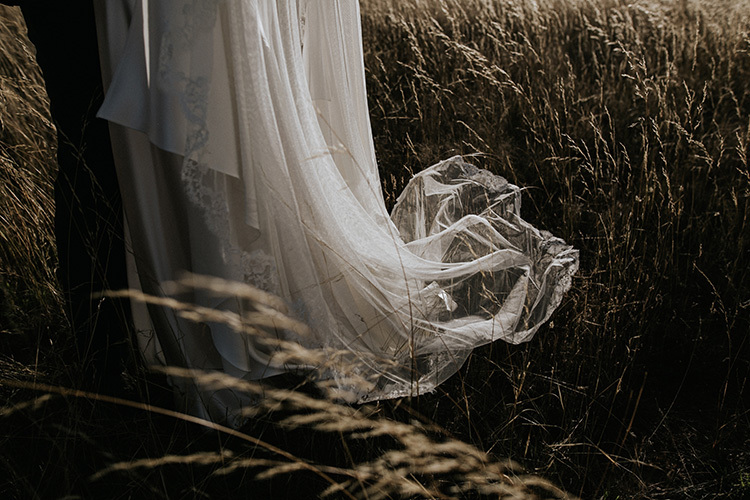 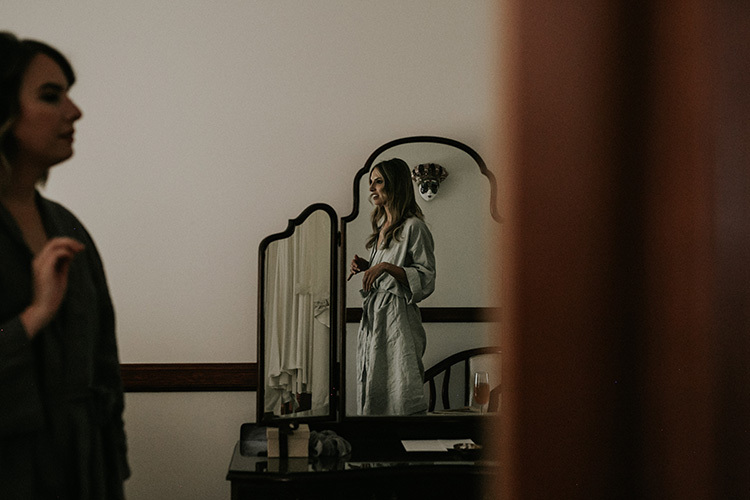 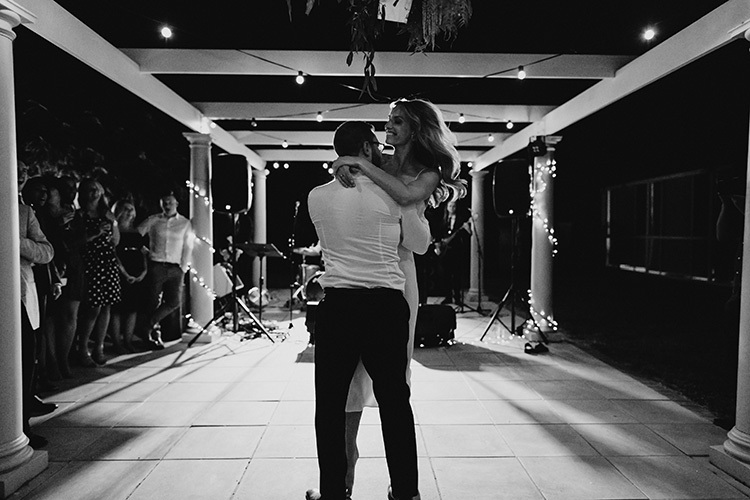 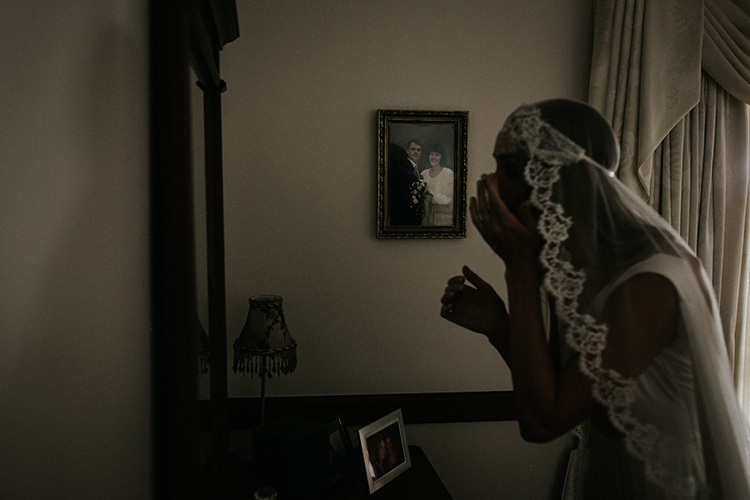 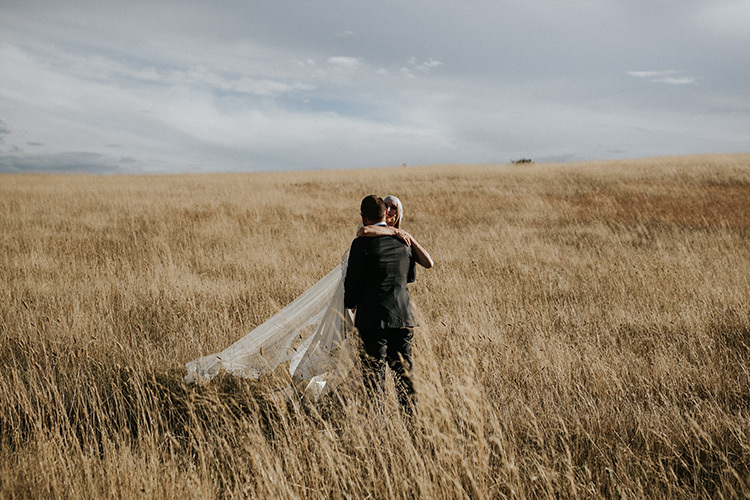 They have let us into so many wonderful celebrations of their relationship, from their Blue Mountains engagement shoot to their amazing wedding day and all the poignant moments within. 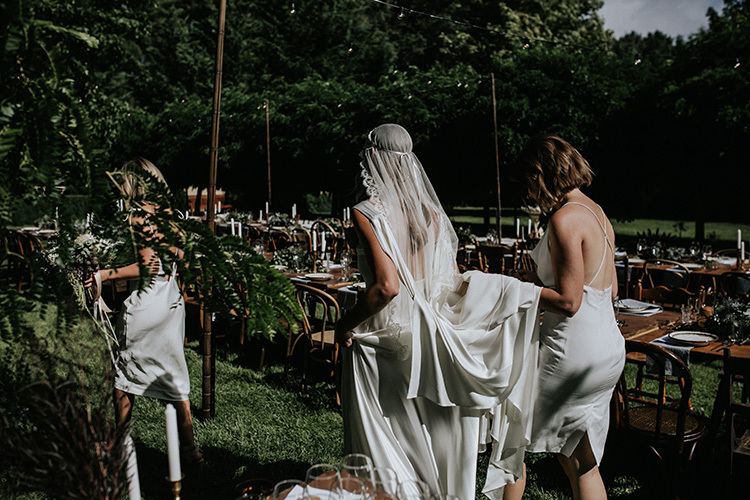 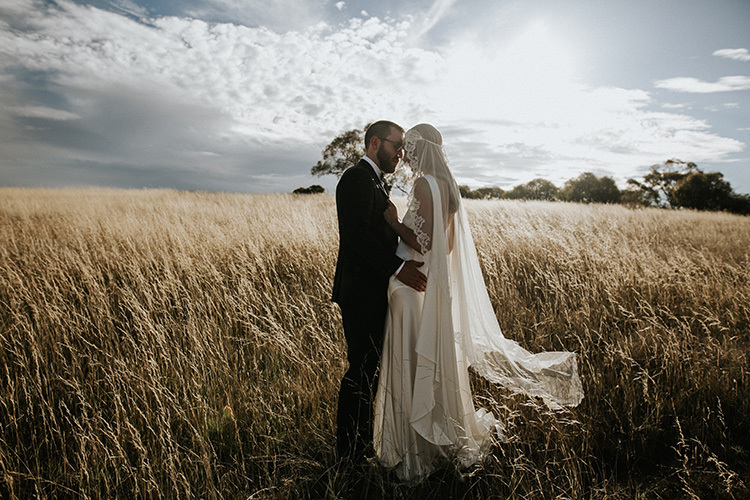 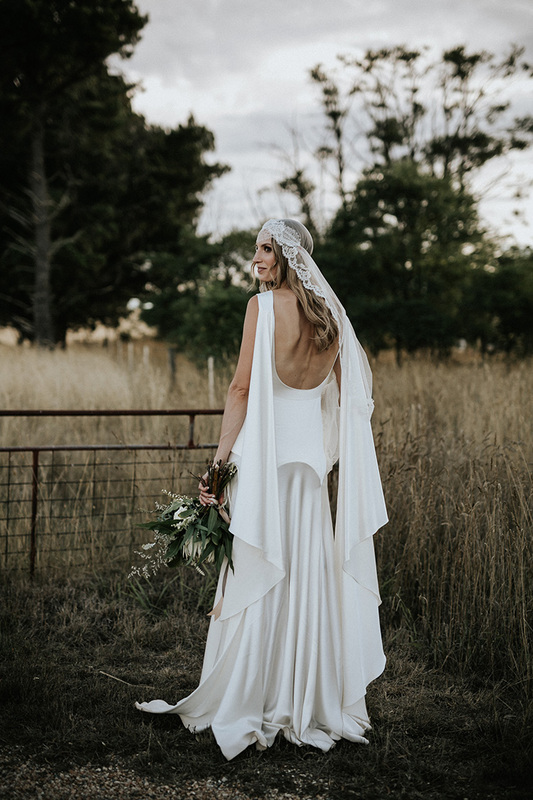 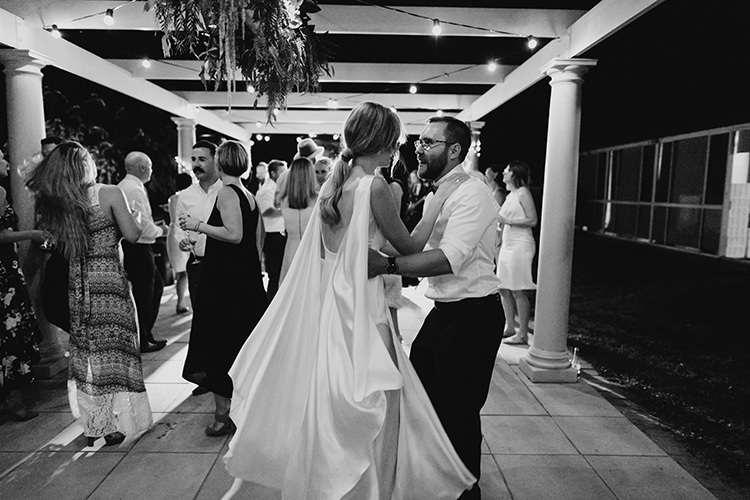 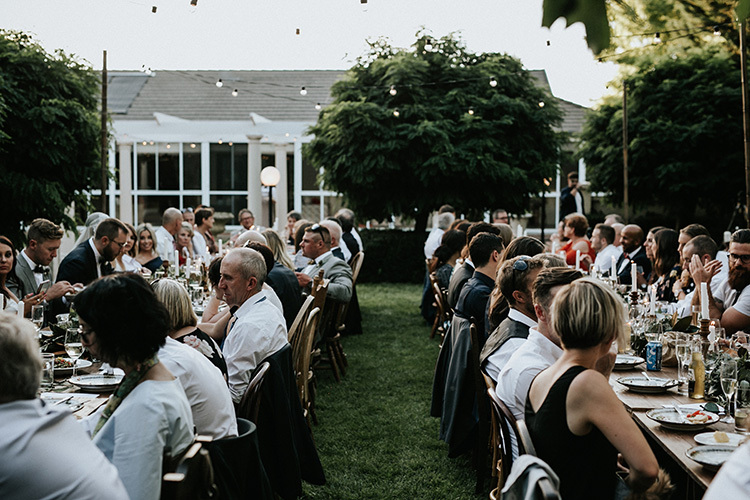 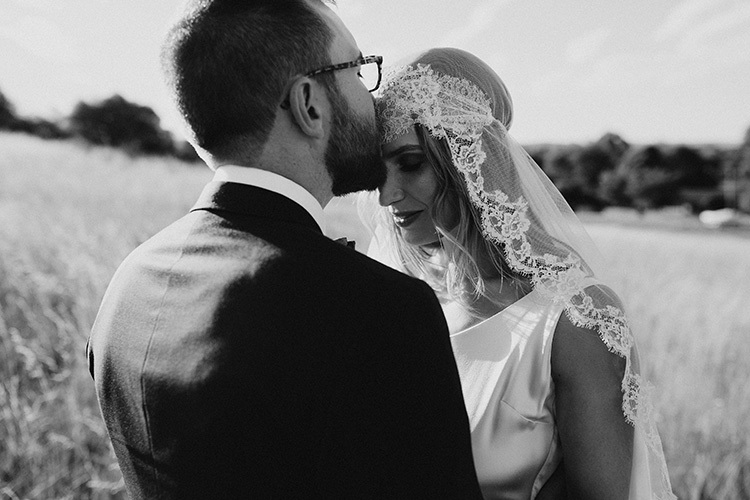 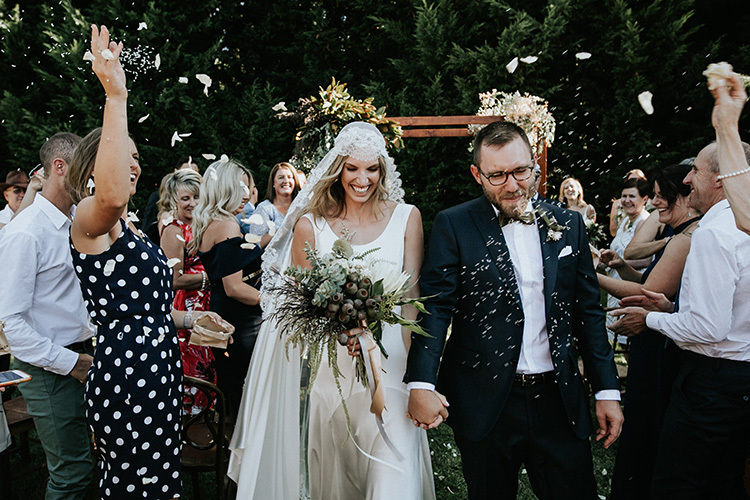 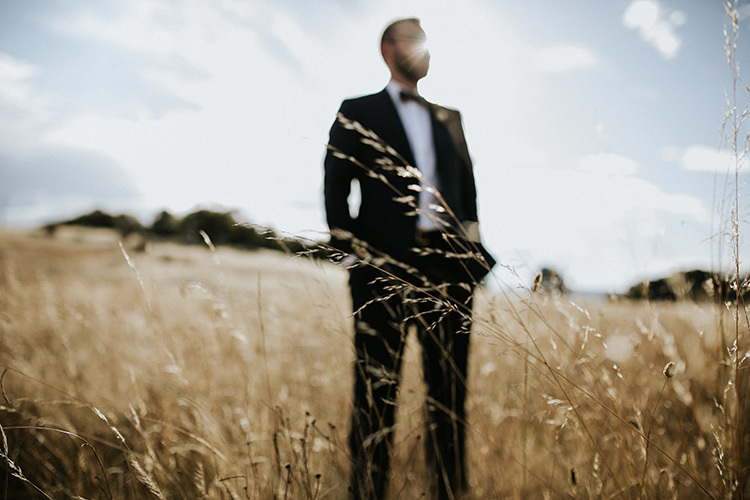 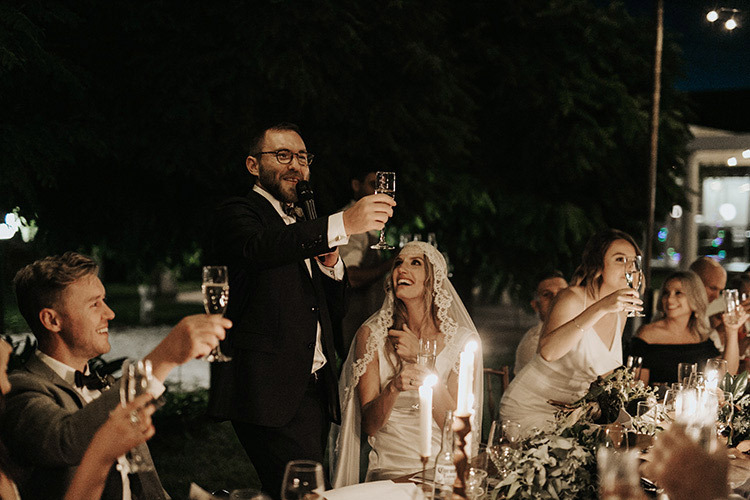 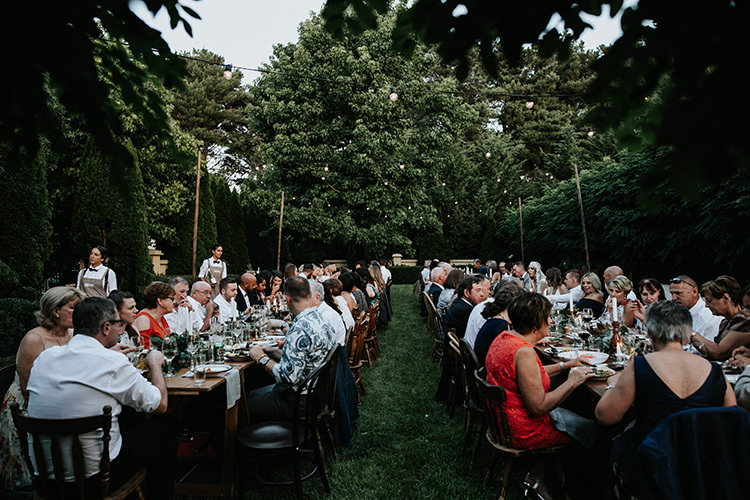 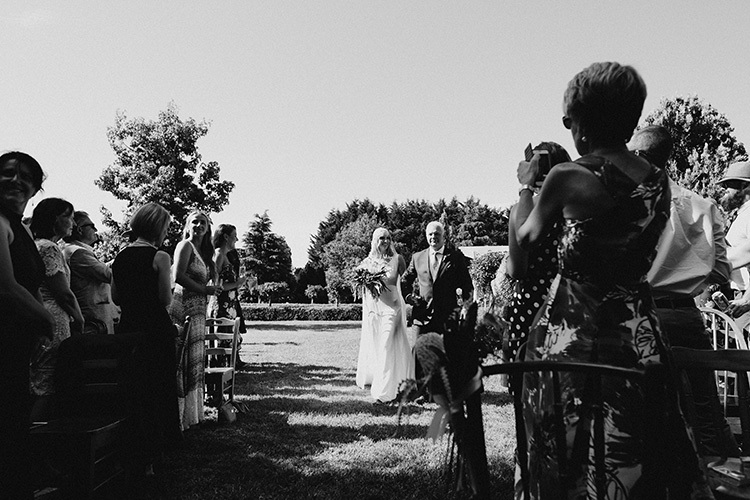 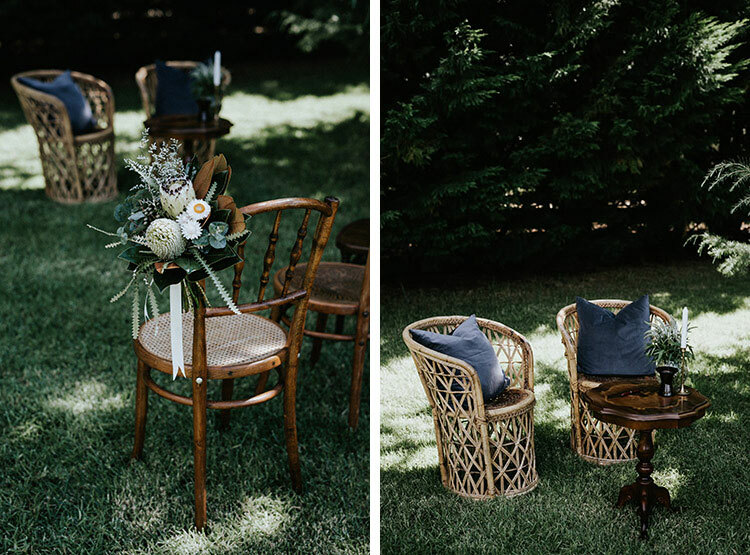 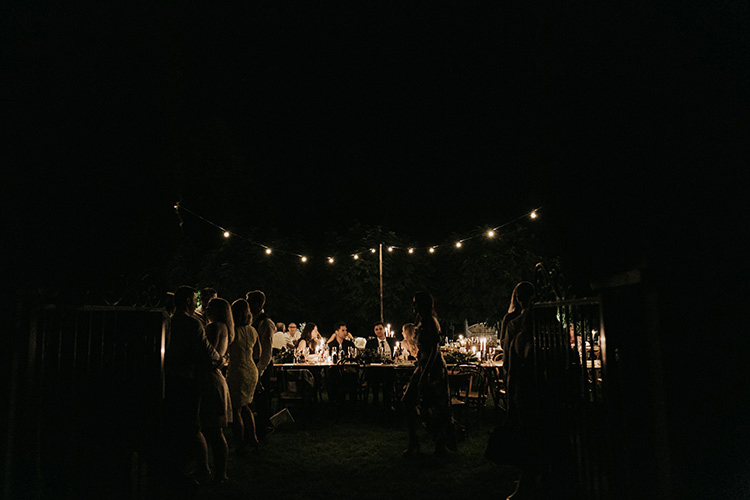 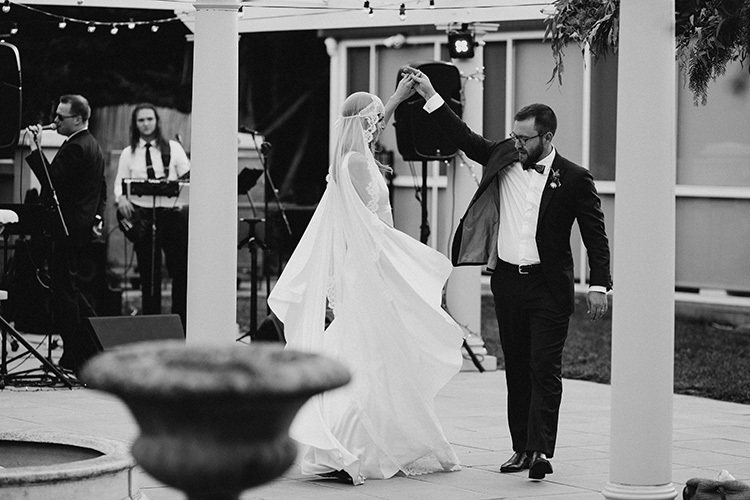 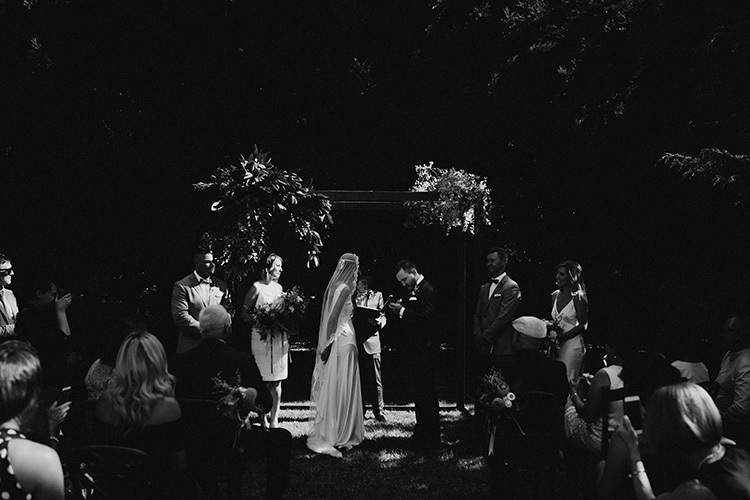 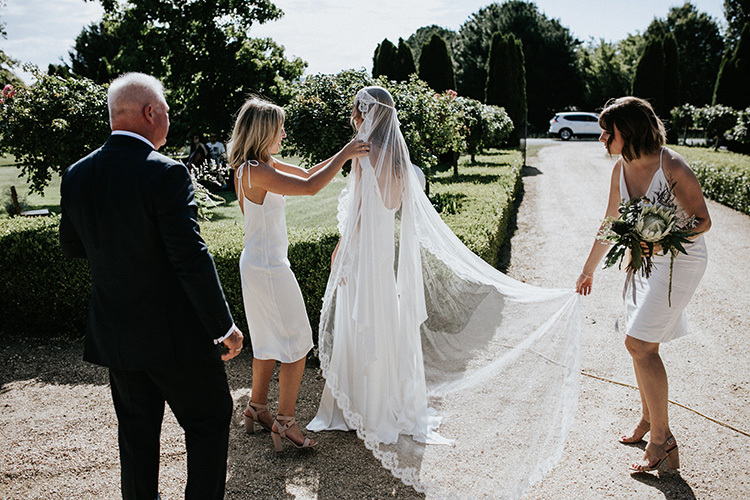 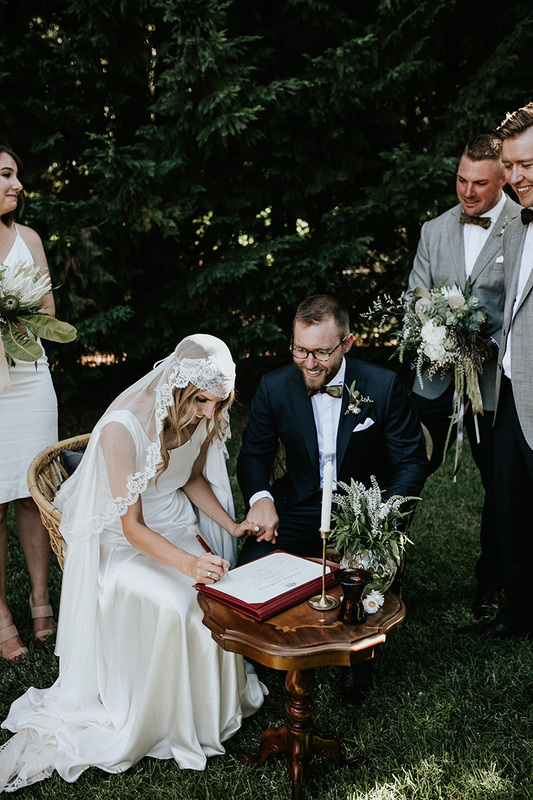 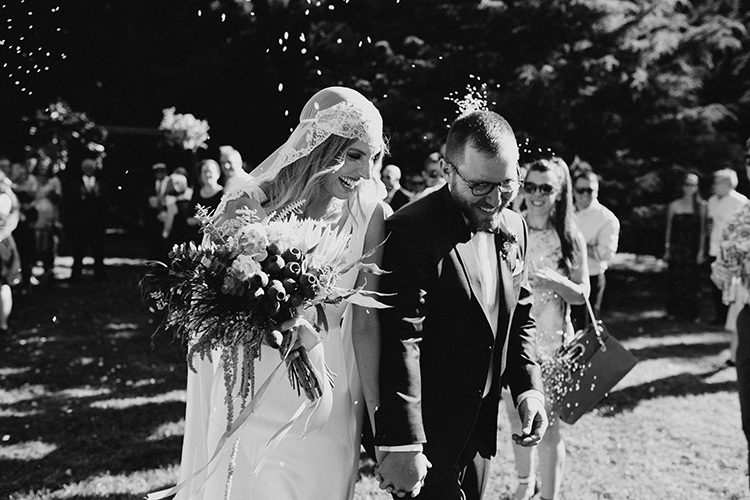 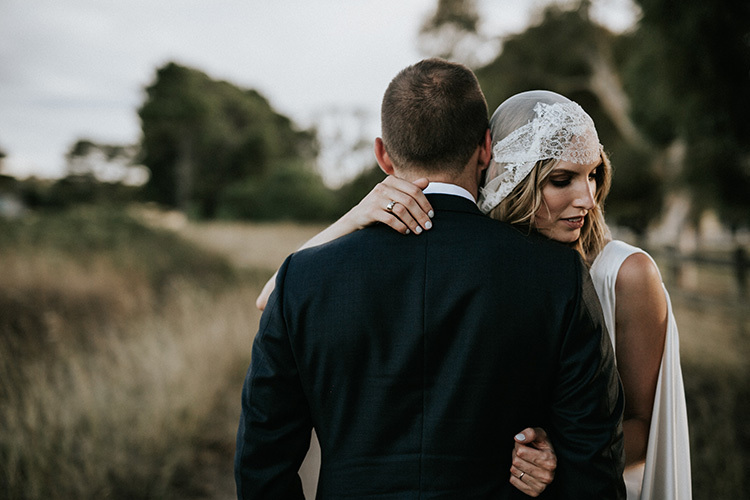 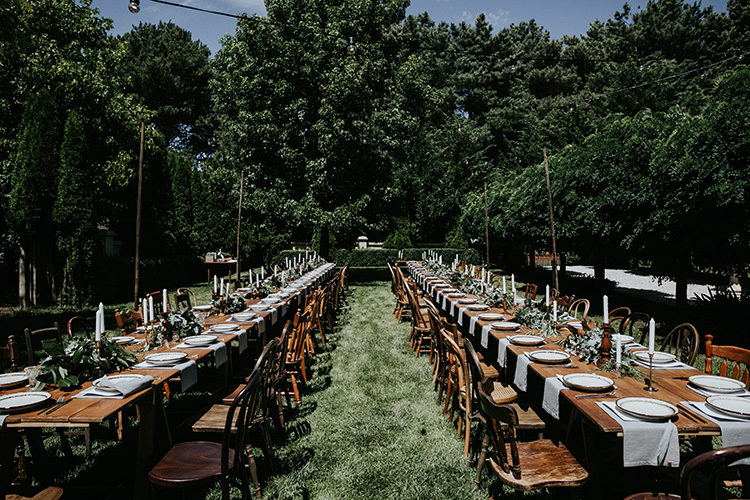 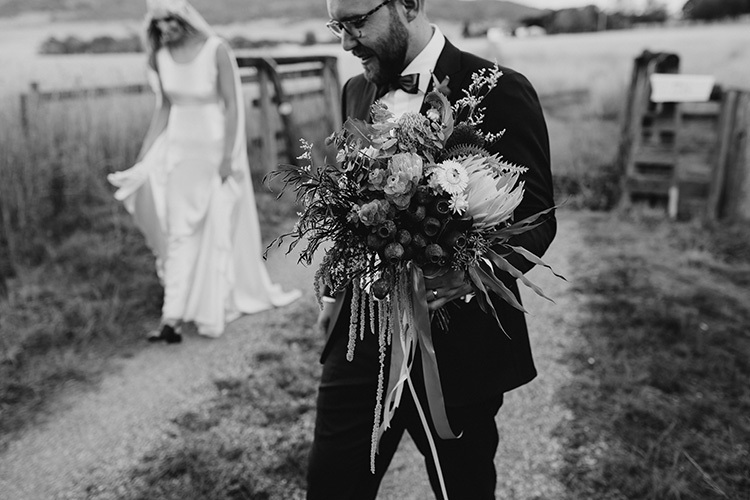 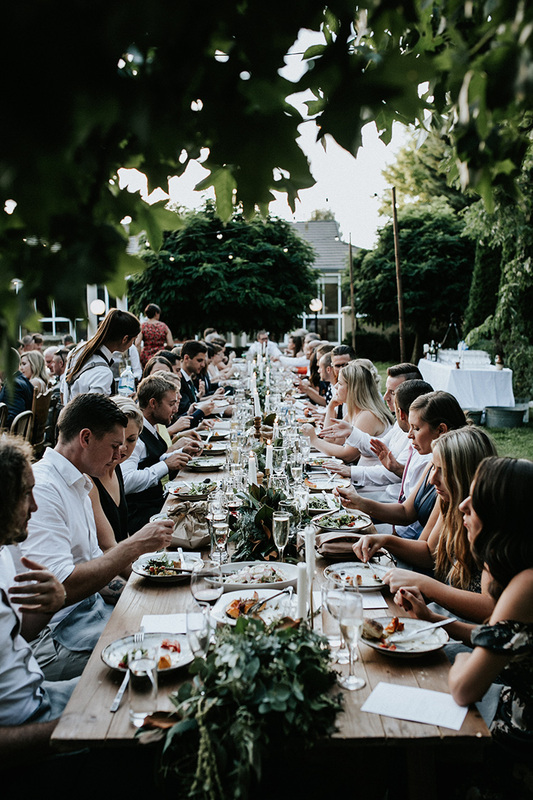 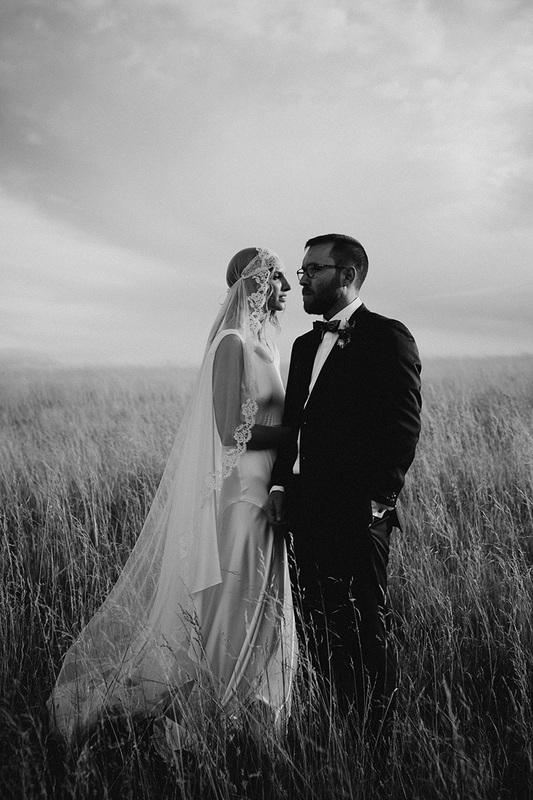 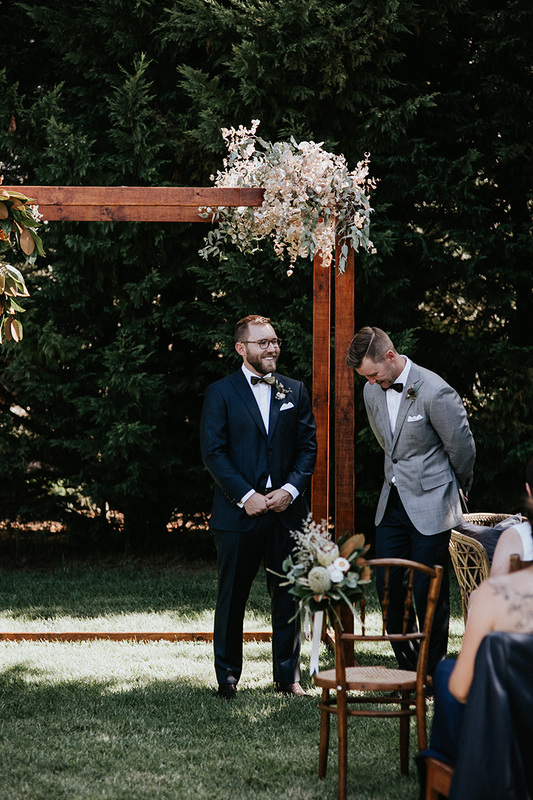 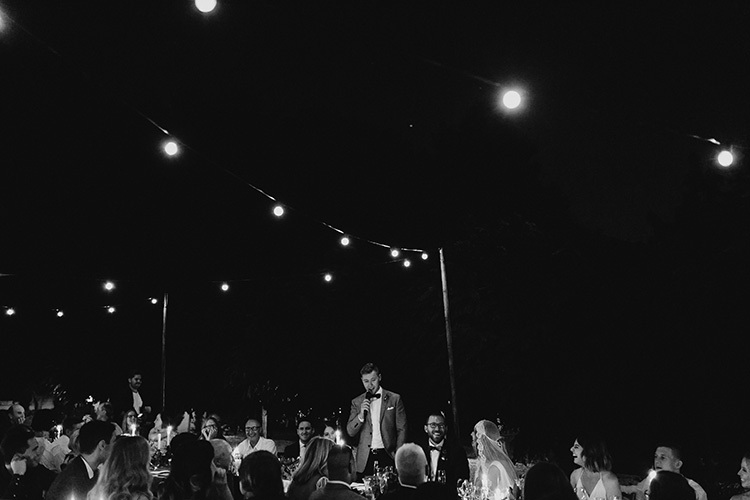 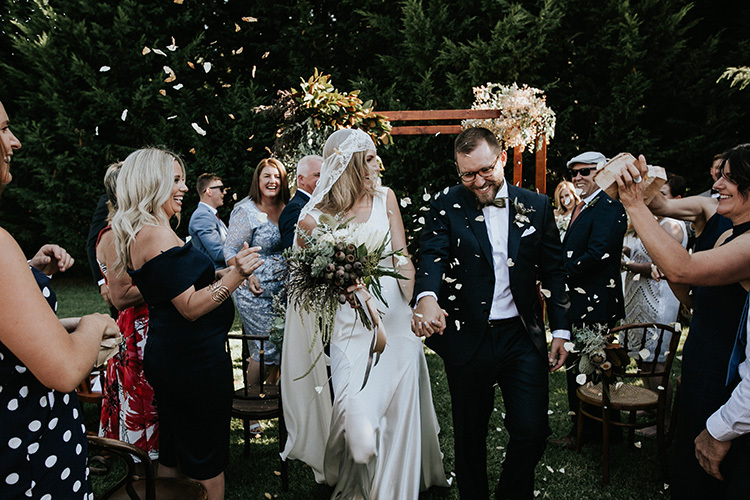 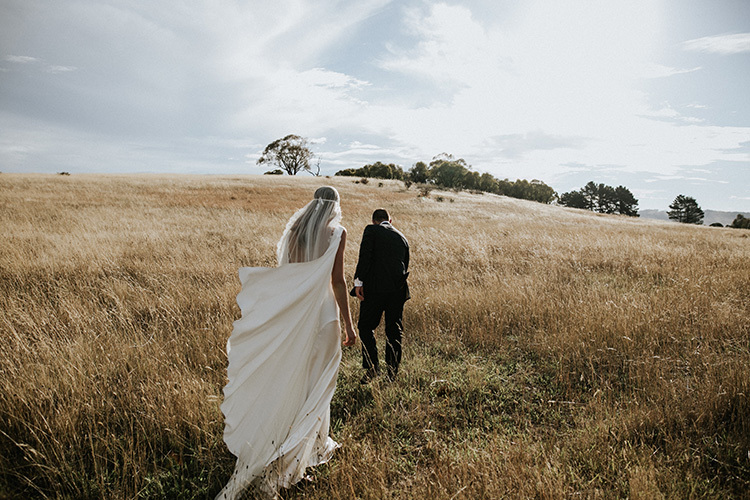 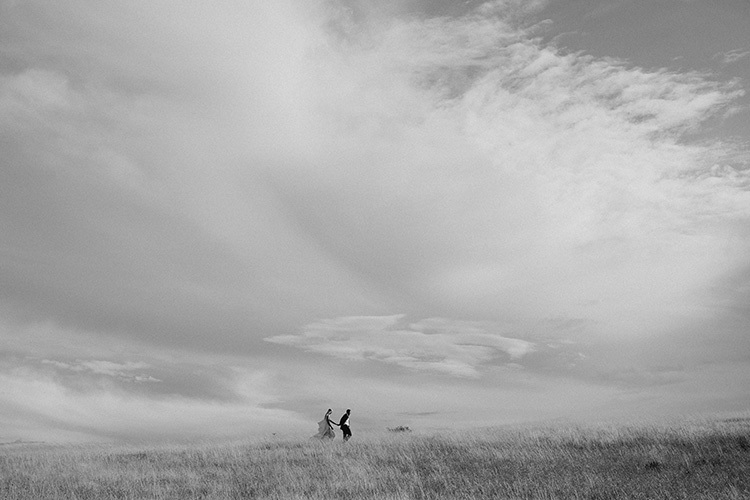 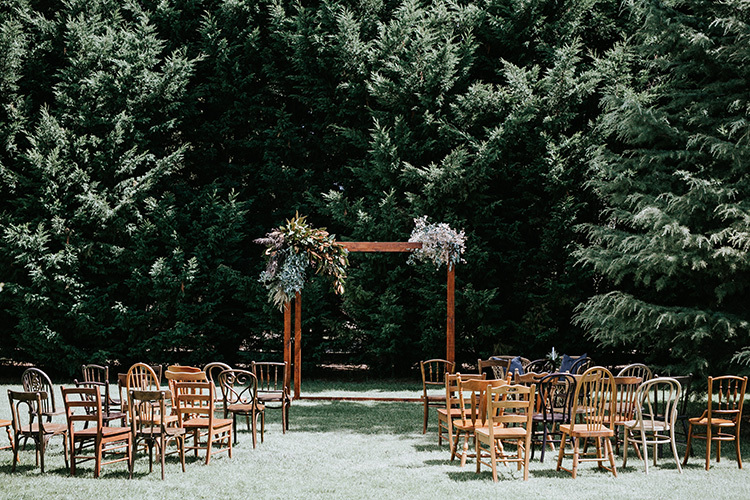 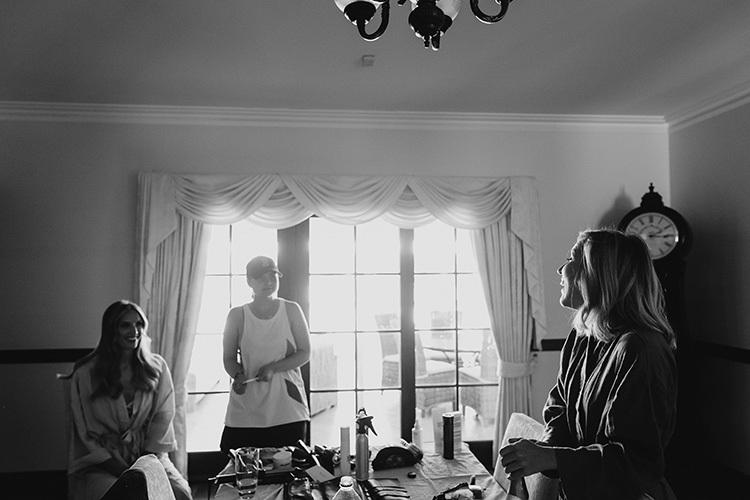 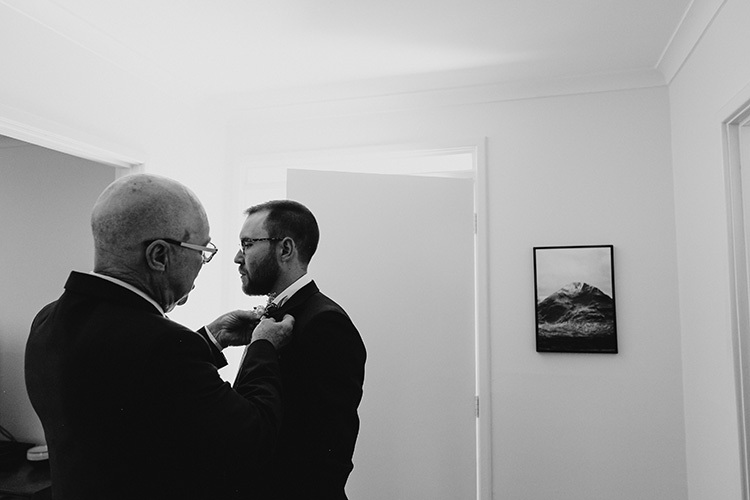 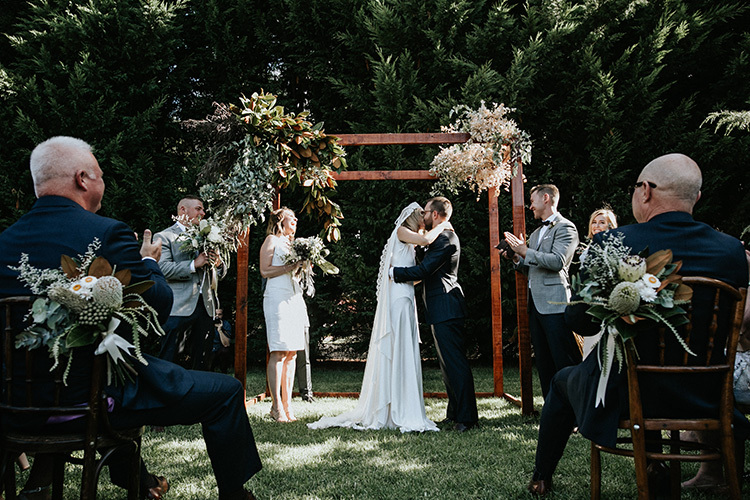 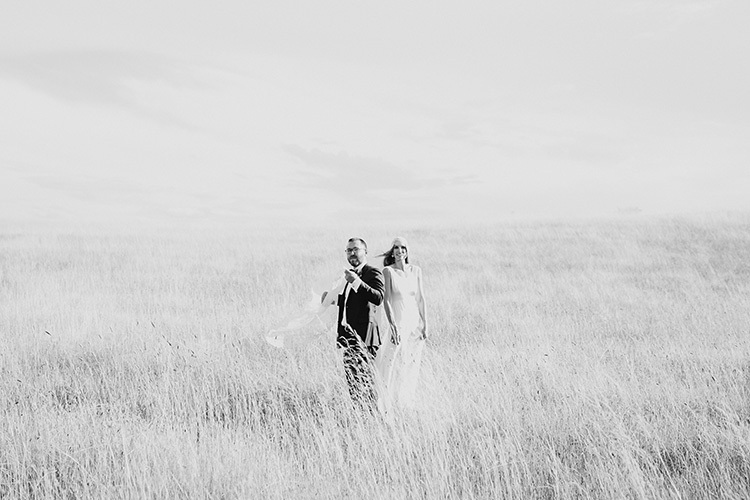 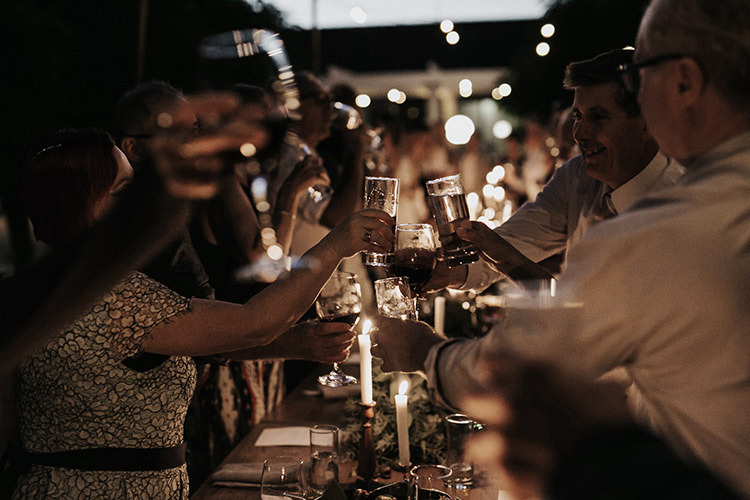 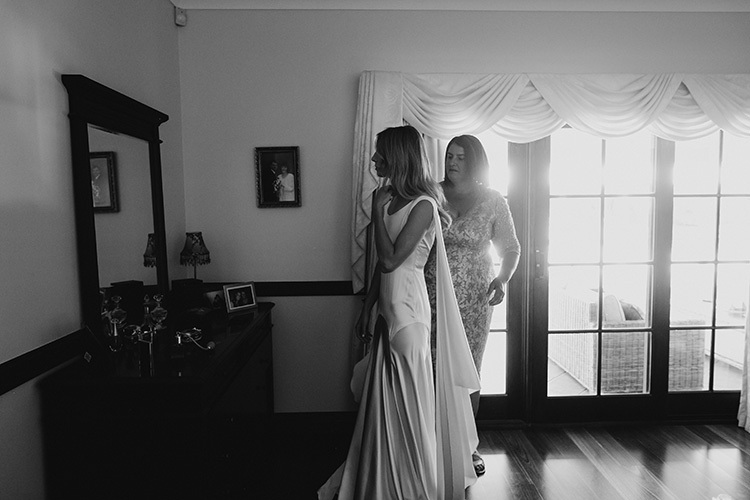 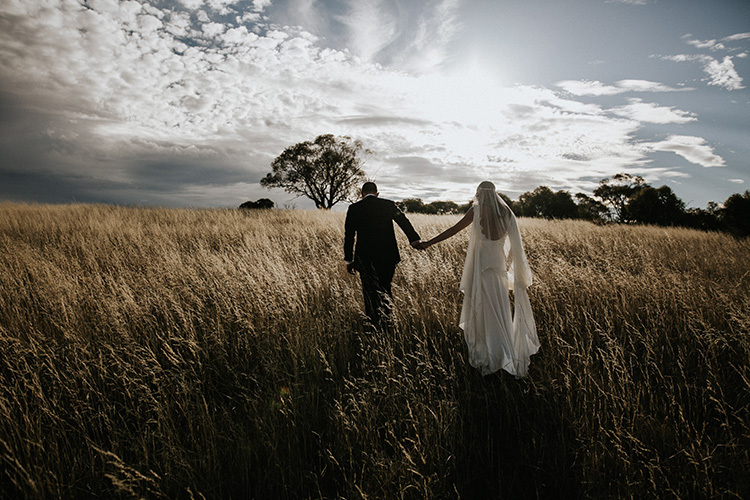 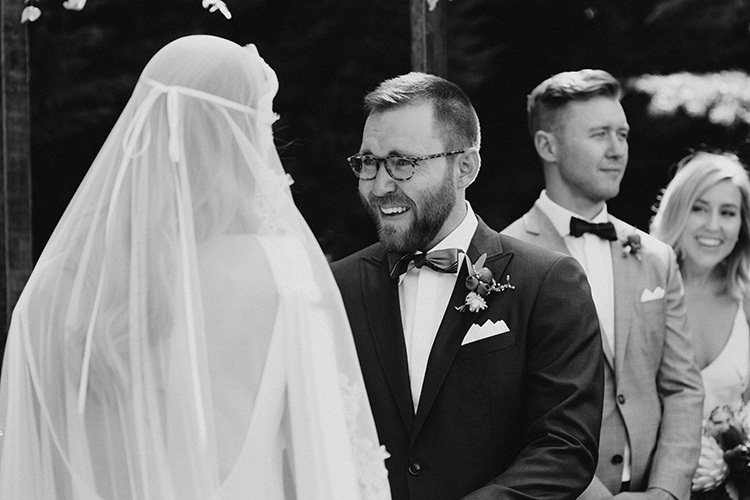 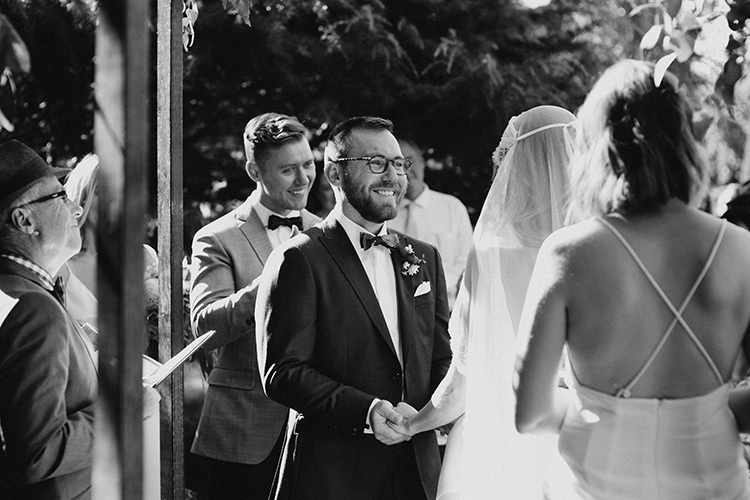 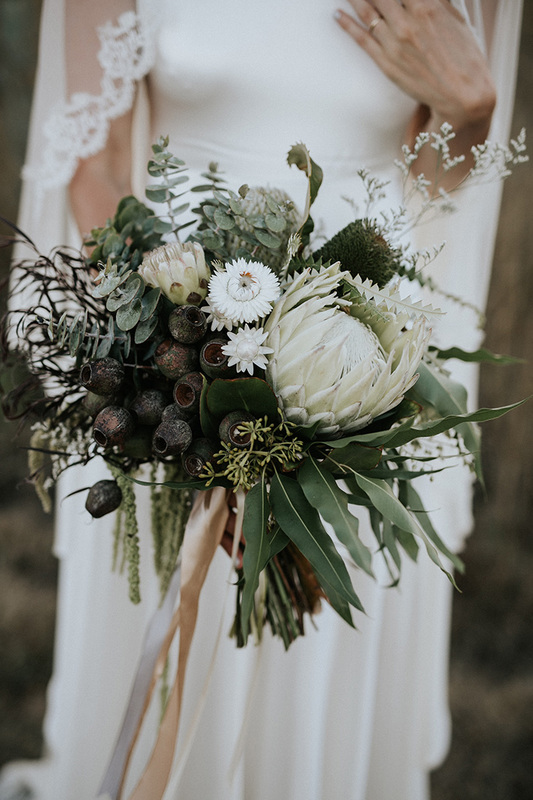 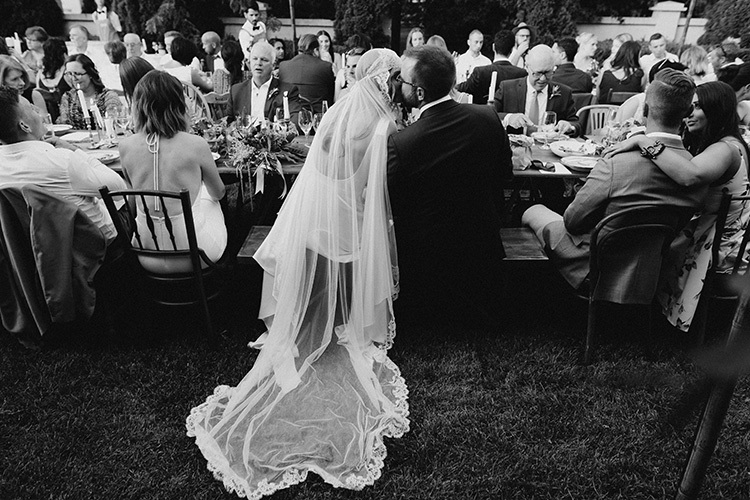 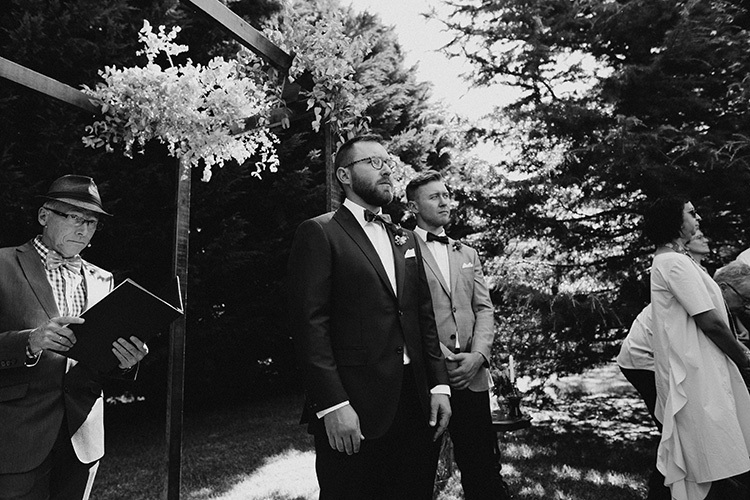 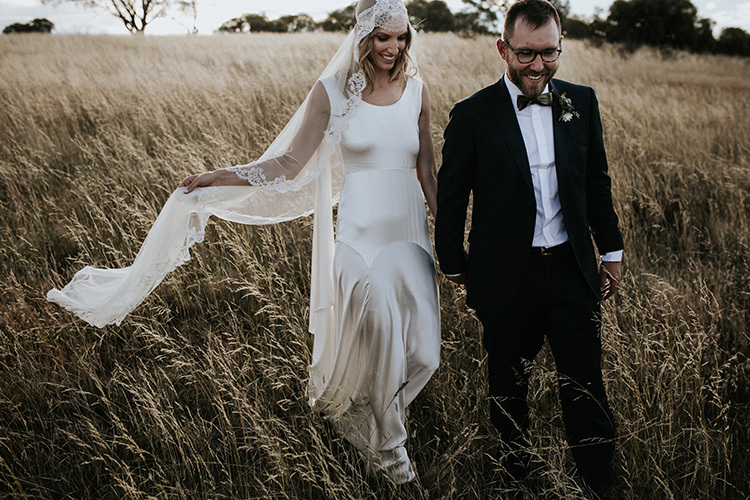 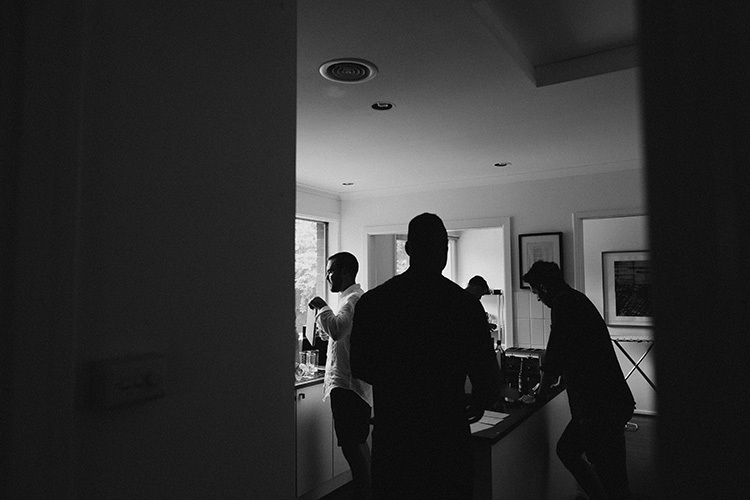 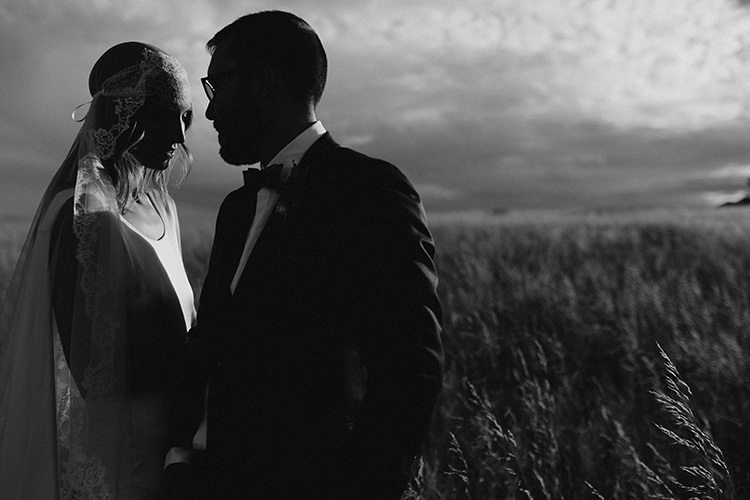 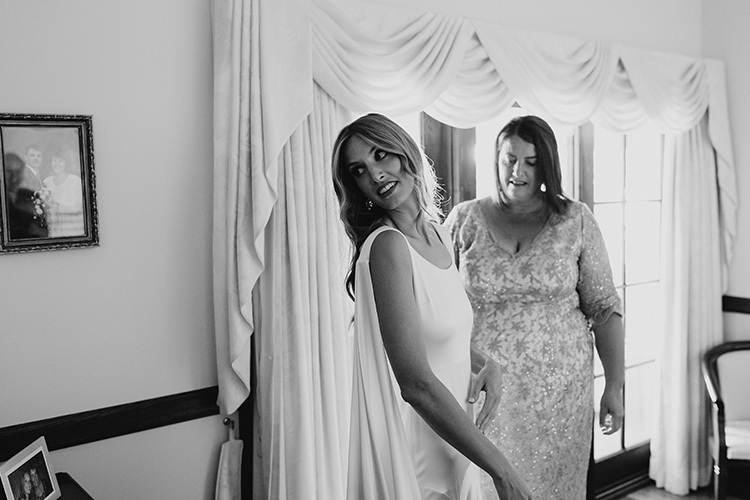 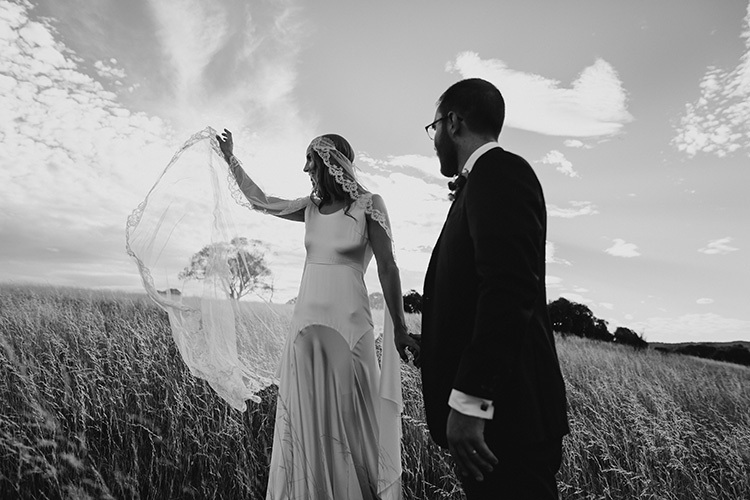 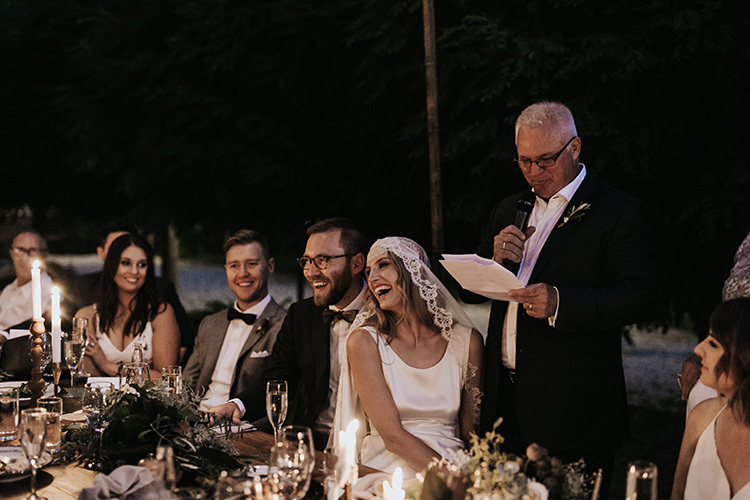 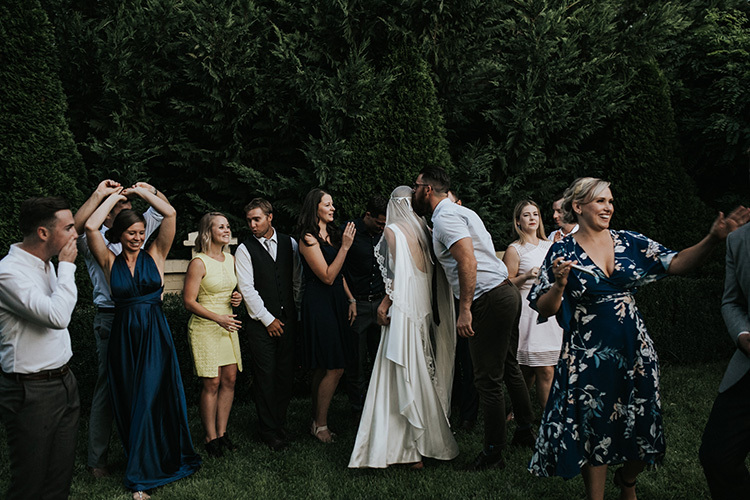 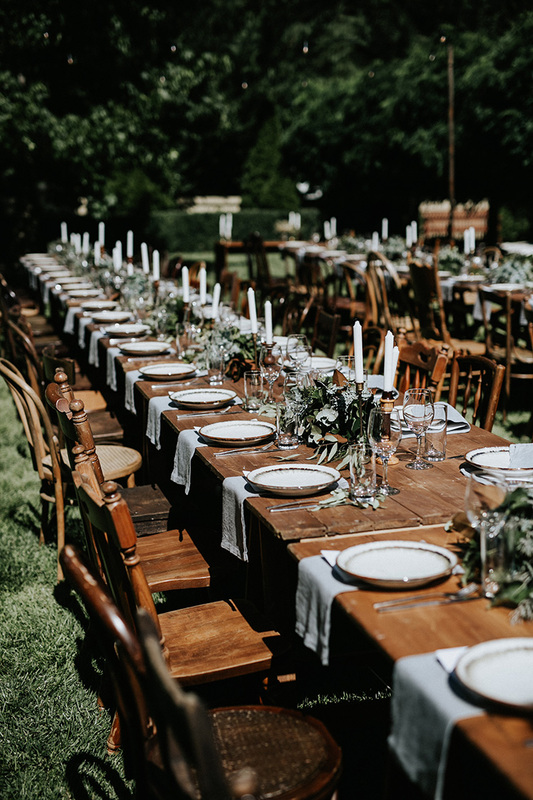 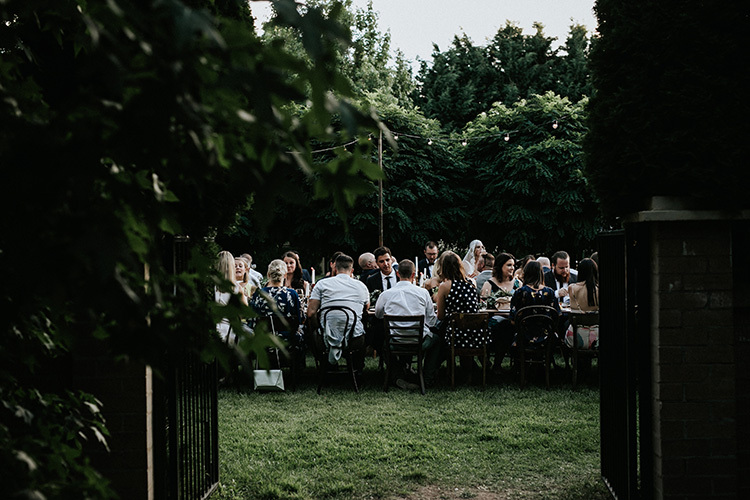 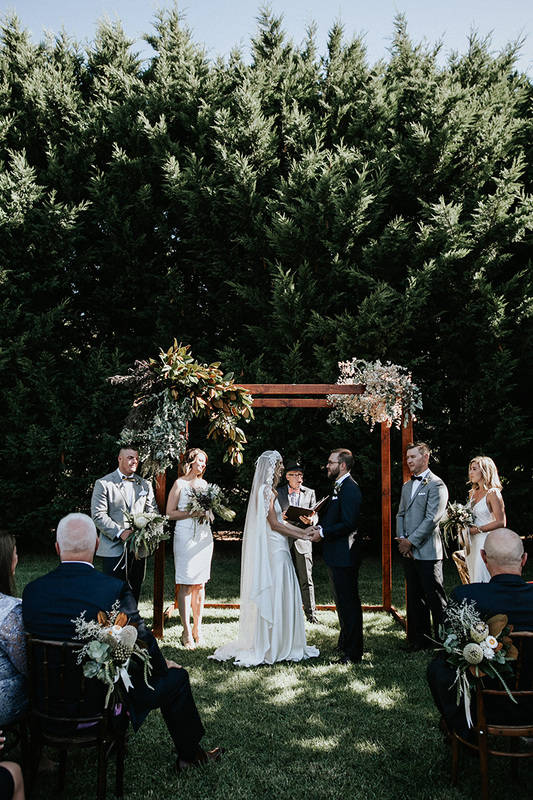 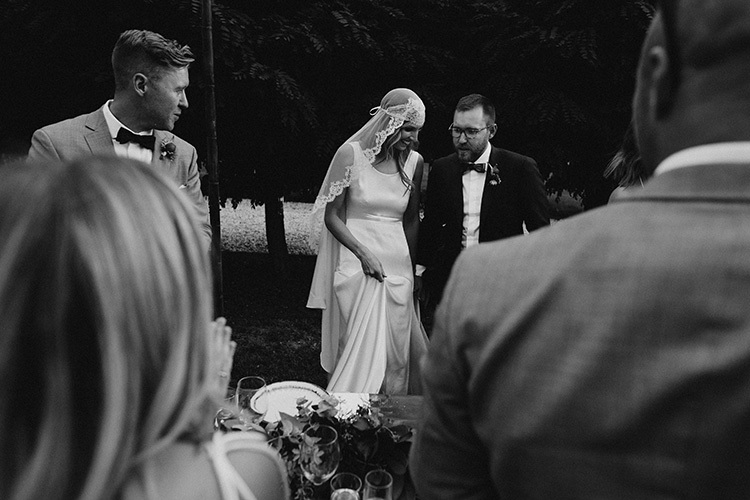 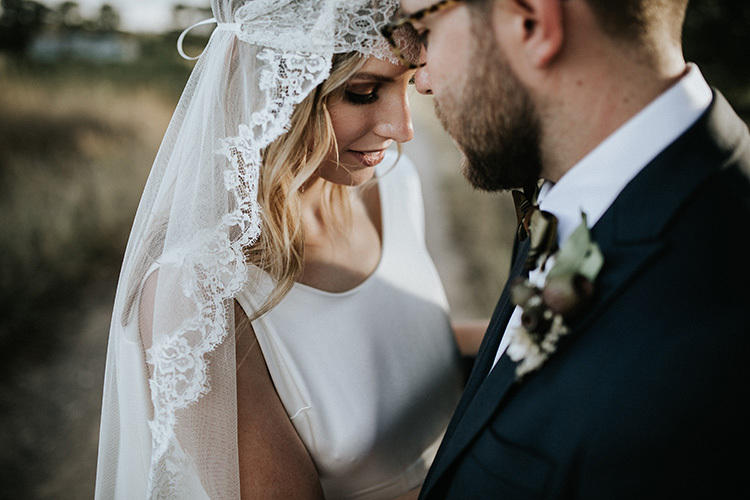 We travelled to Canberra for this special day which was mostly held on their family’s stunning property in Bungendore. 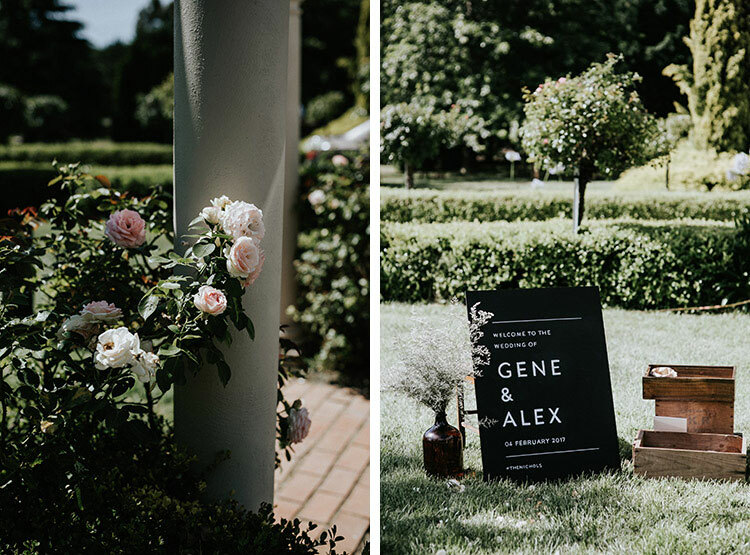 Alex & Gene are mid-century lovers and sourced their reception styling to reflect their favourite era. 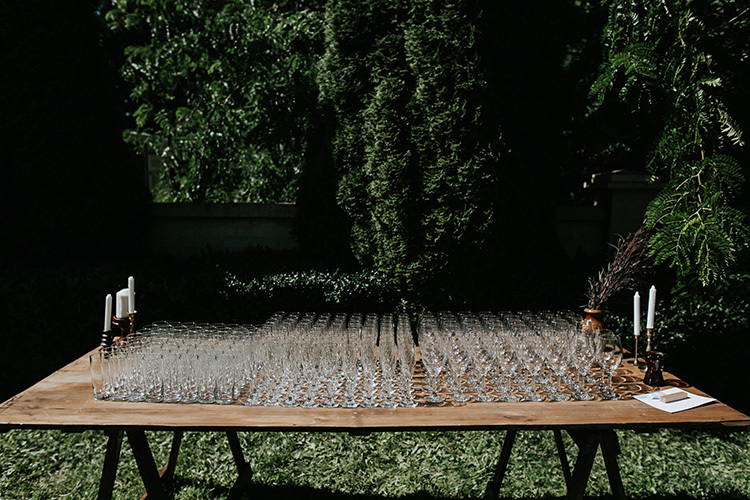 Their impeccable taste for art, fashion and design supplied a visual feast for the eyes. 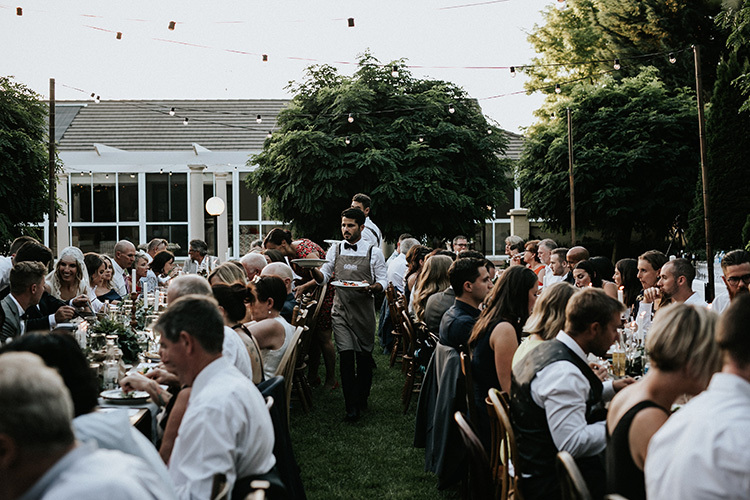 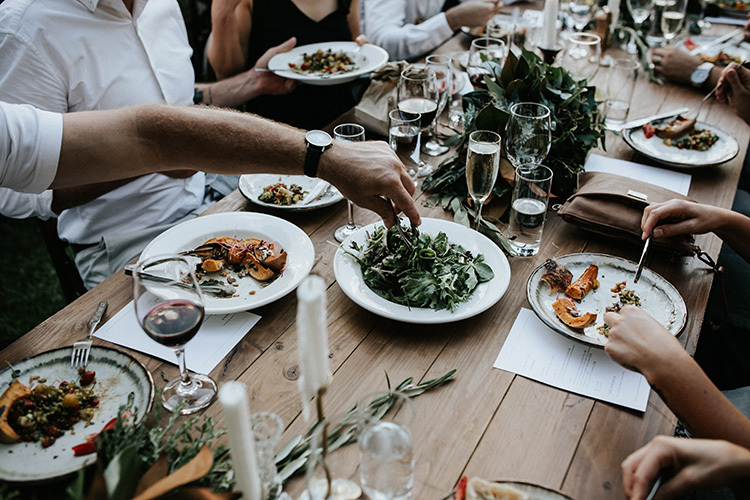 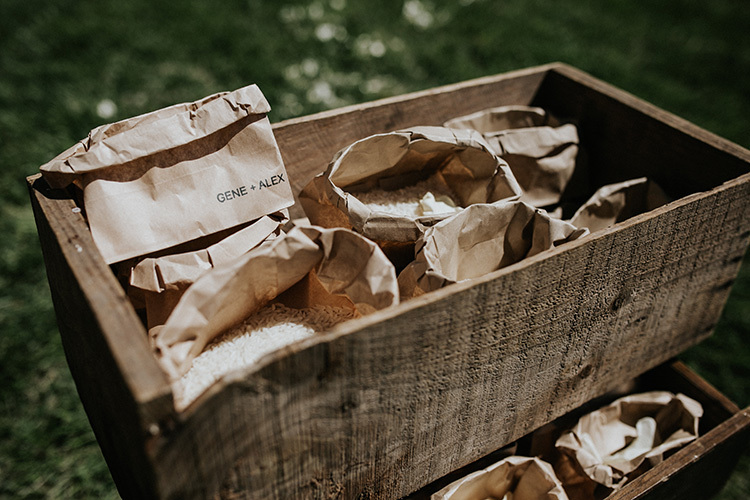 On the topic of feasts, Gallivant Catering whipped up a delicious sharing platter menu for their reception under the stars. 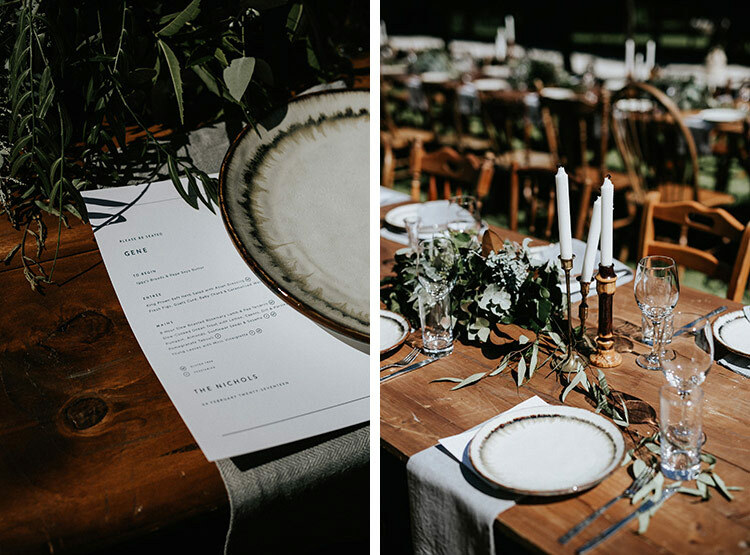 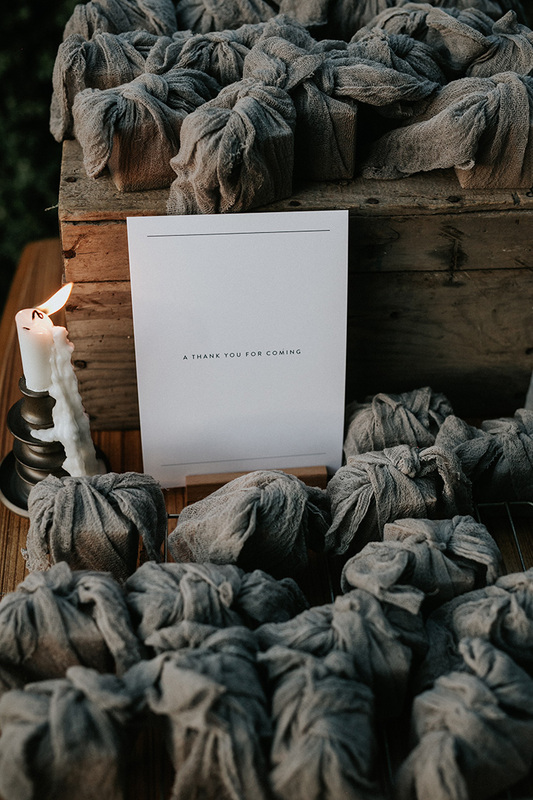 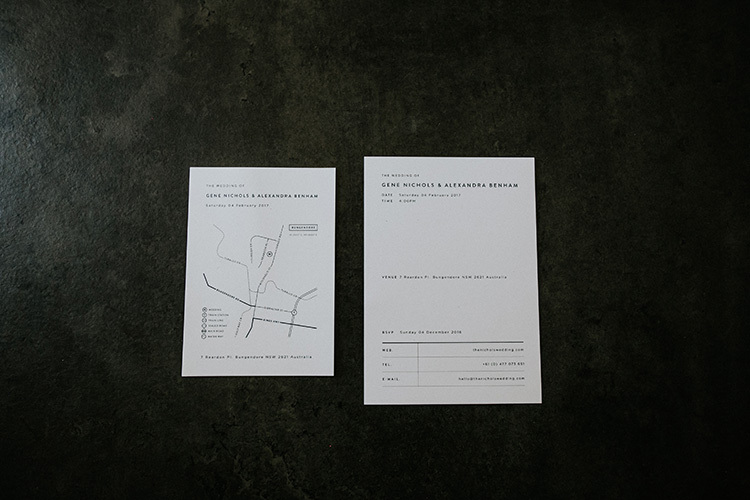 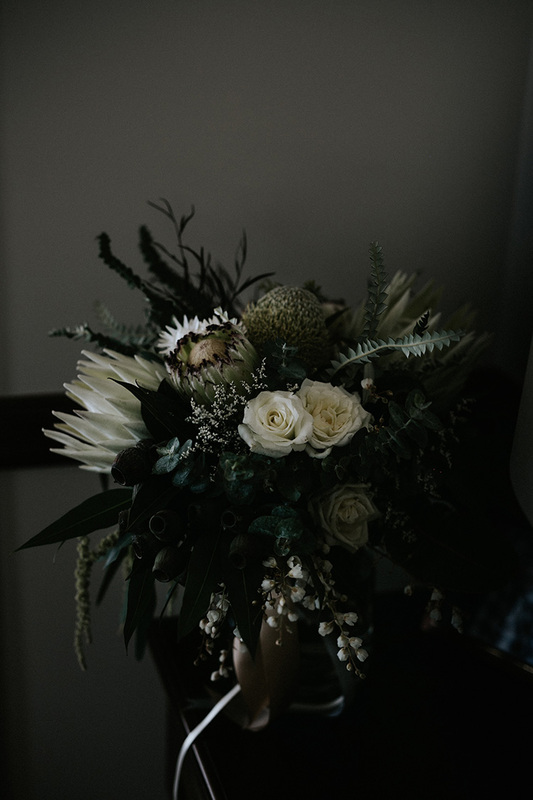 In addition to this were beautiful florals by Rachel Bethany and minimalist stationery designed by our favourite Melissa Soraya. 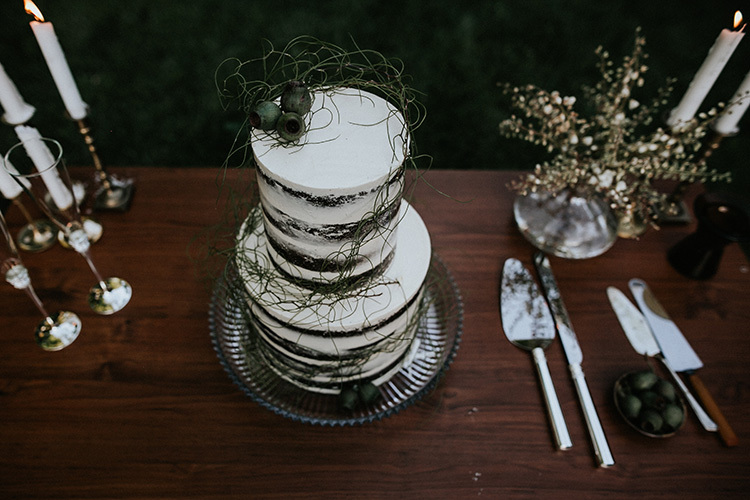 Alex’s stunning Houghton NYC wedding gown was from The Bridal Atelier and their luscious wedding cake was courtesy of Forty-Two Cakes. 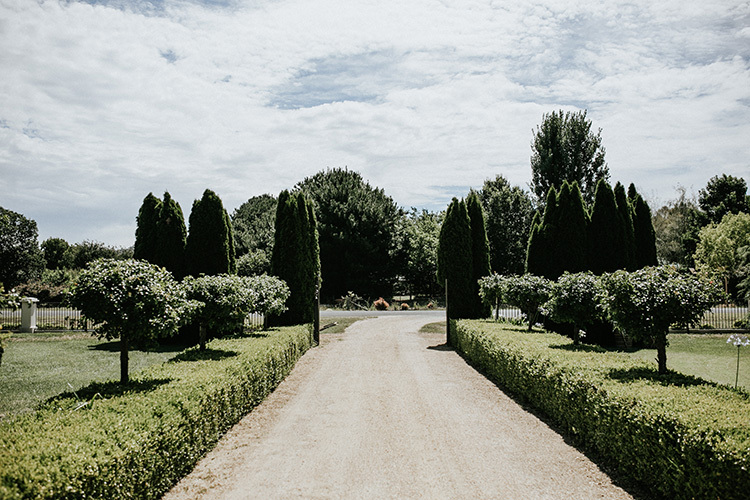 Get your scrolling finger ready because this day is a stunner. 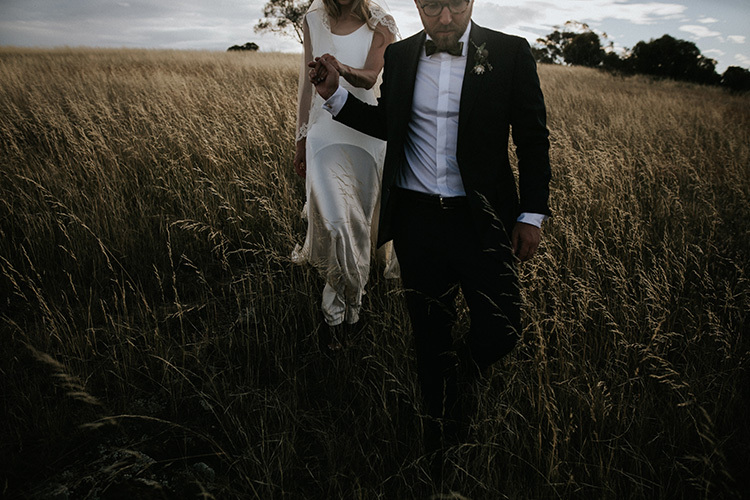 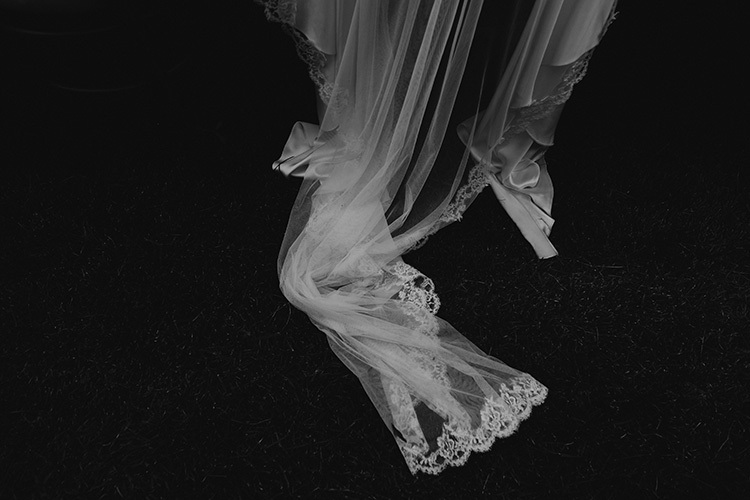 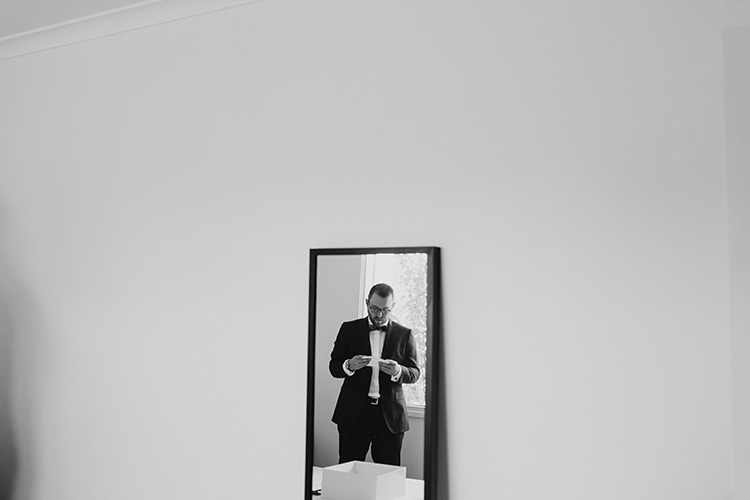 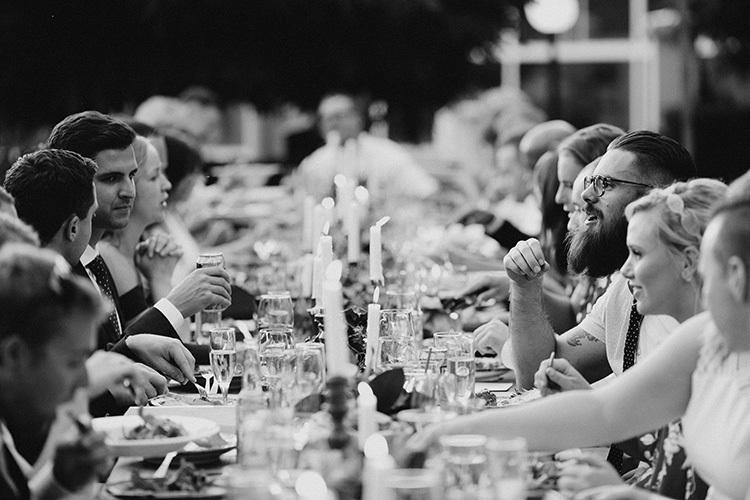 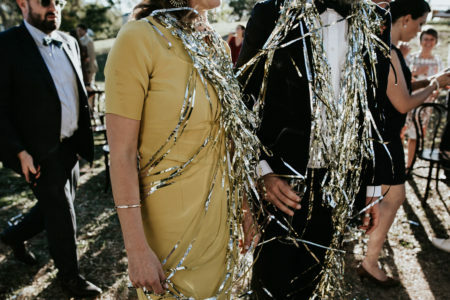 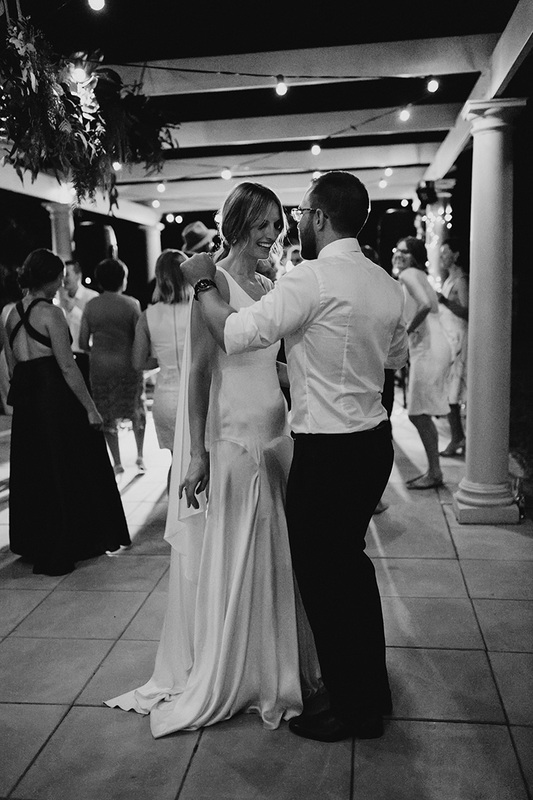 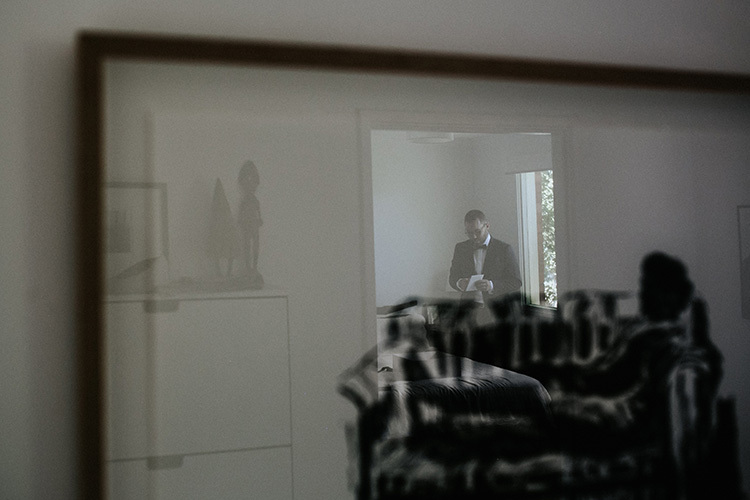 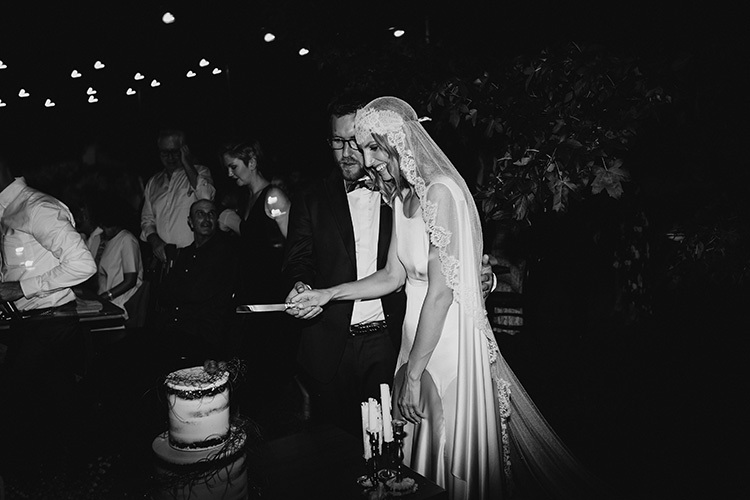 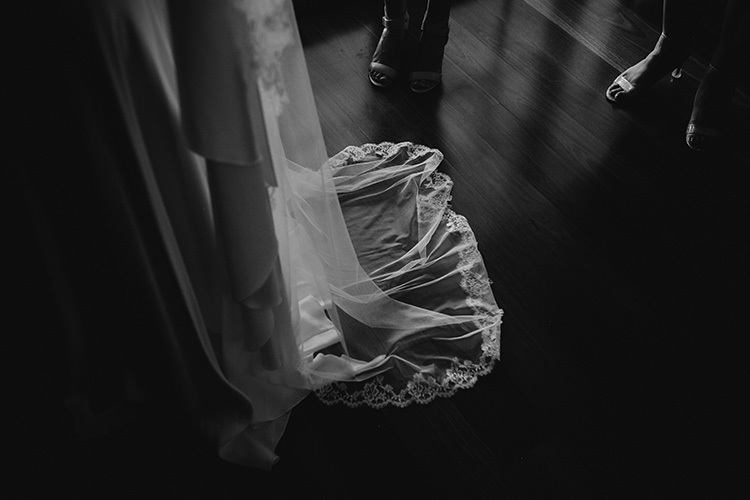 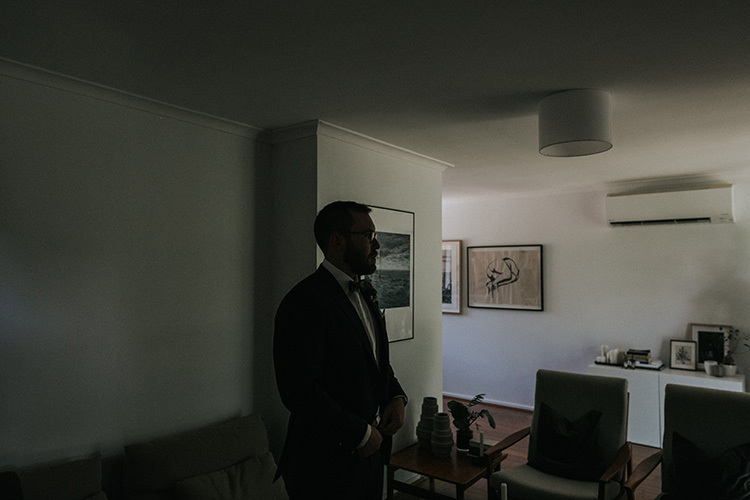 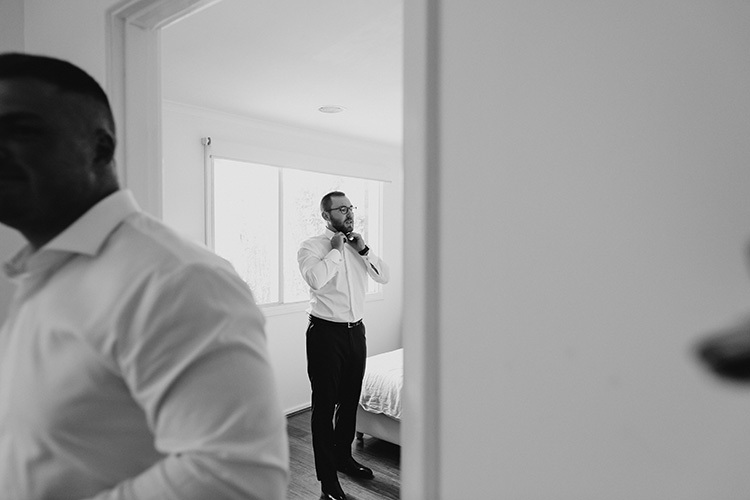 A special thanks also to Hello May for featuring our photography of their Canberra wedding.